Maybe you are suffering from chronic disease or allergies or having some behavioral problem or struggling with your studies. Diseases and failures are part of life and have to be remedied without fail. When it comes to meeting some life objective, you need to take some organized actions based on the nature of your problem. 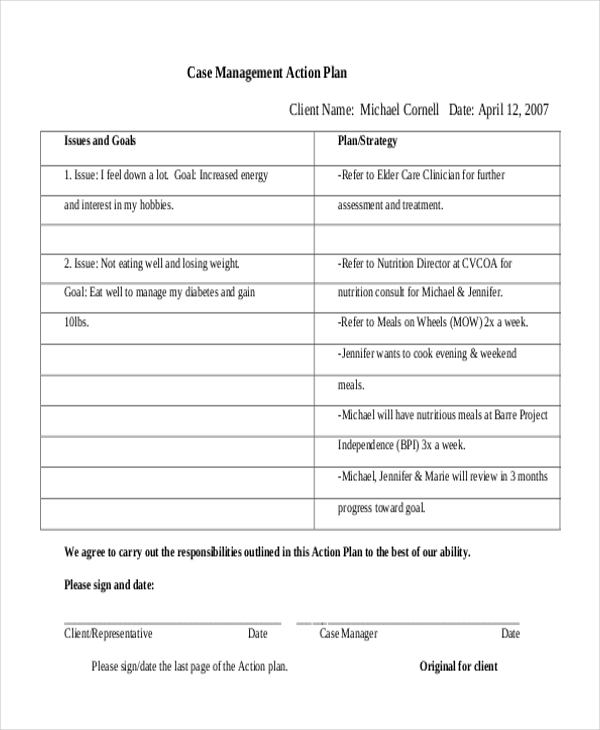 These Action Forms cover different situations and give details of factors to consider for achieving the goal. 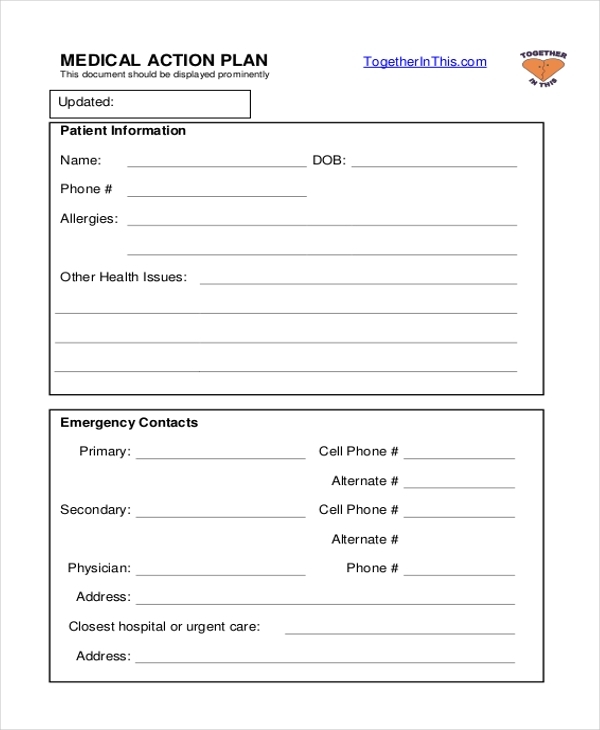 This template includes every detail of food allergy action plan including the name of the student, weight, allergic to foods, symptoms, emergency squad telephone number, medication, and monitoring process in PDF format. You may also see Sample Employee Action Forms. This template includes details of medicine, doctor’s name and asthma triggers. It is divided into three separate parts: green for controlled asthma; yellow for asthma symptoms and red for a critical situation. This downloadable template is for doing an operational risk assessment and determining potential hazards. It includes details of the incident area, hazards & risks involved and mitigation process for lowering the risks. You may also see Disciplinary Action Forms. This is available in PDF format and this is meant for identifying the supports chosen by a person. It includes all relevant details of case management action plan and case studies as examples. 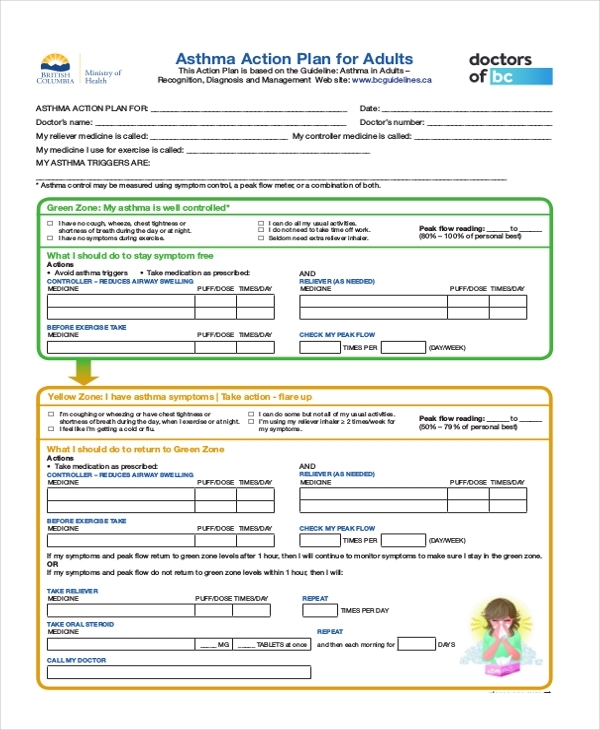 This medical action plan template covers all patient information such as name; allergies; other health issues with signs, symptoms & severity; emergency contact numbers; the name of the doctor and self-care steps. 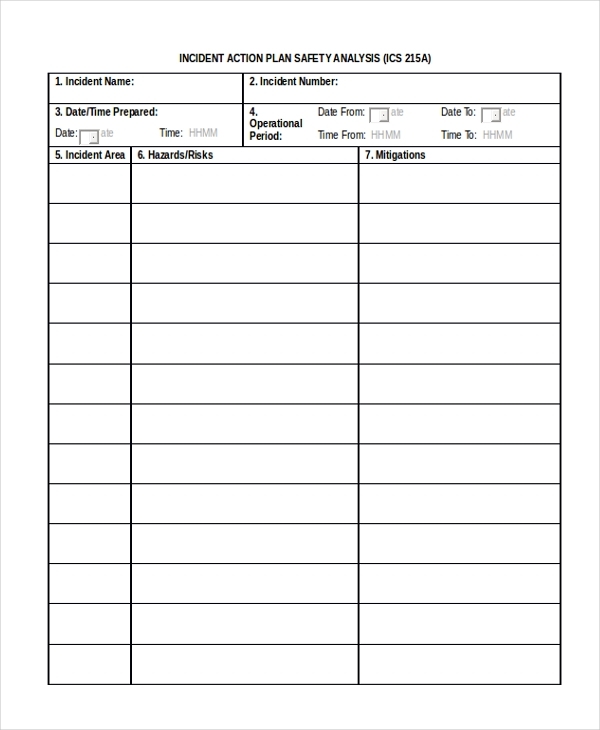 This incident action template is for identifying a behavioral pattern of a child and interaction with the educators. It includes relevant details like incident description, injuries or damages caused, and parental plan. 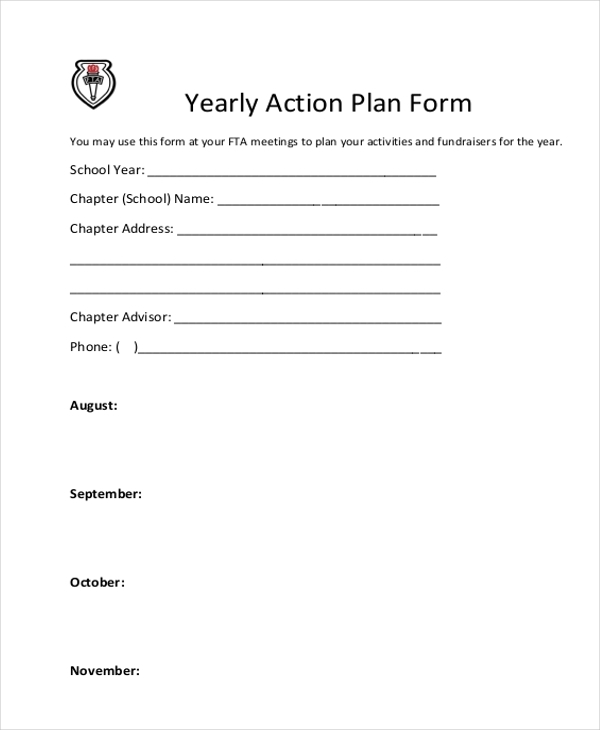 This yearly action plan template is in PDF format. It is useful for FTA meetings for planning activities throughout the year. It includes recruitment strategies, program ideas and suggested actions etc. You may also see Affirmative Action Forms. 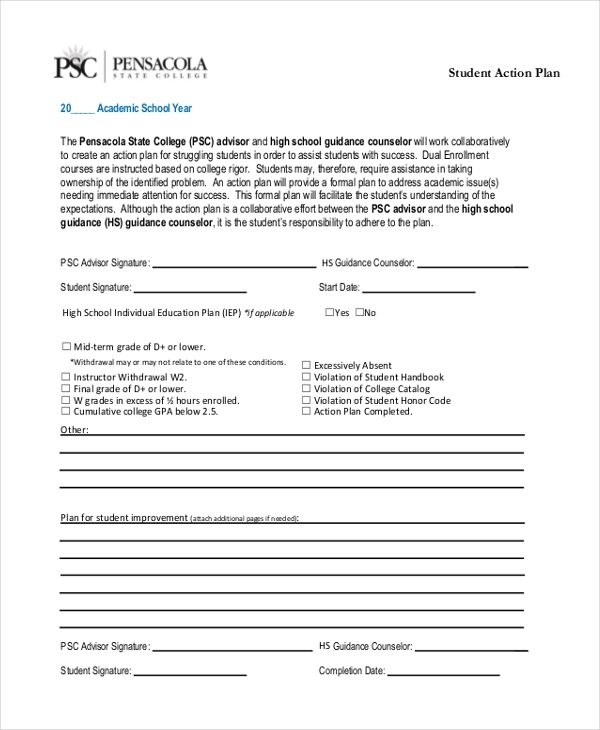 This template is meant for assisting students who are having a problem with dual enrollment in the high school. It includes student details like grade, violations made and action plan for success. 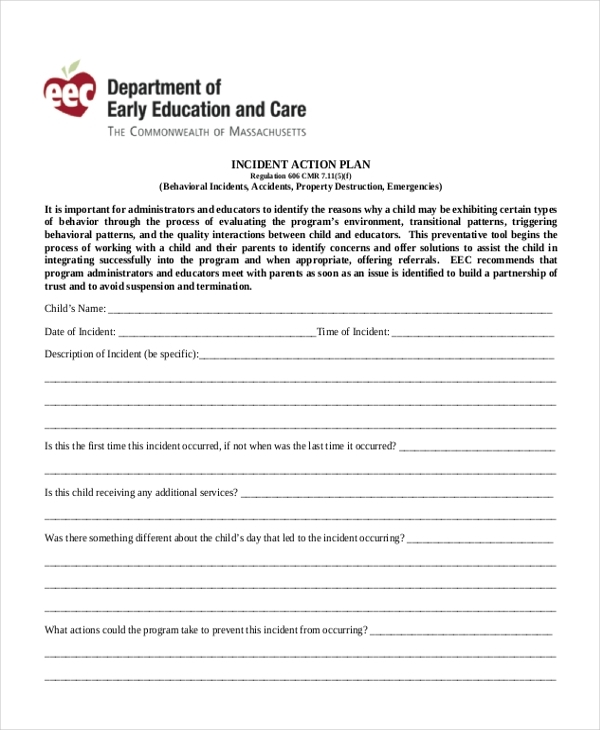 Who Can Use These Action Plan Forms? 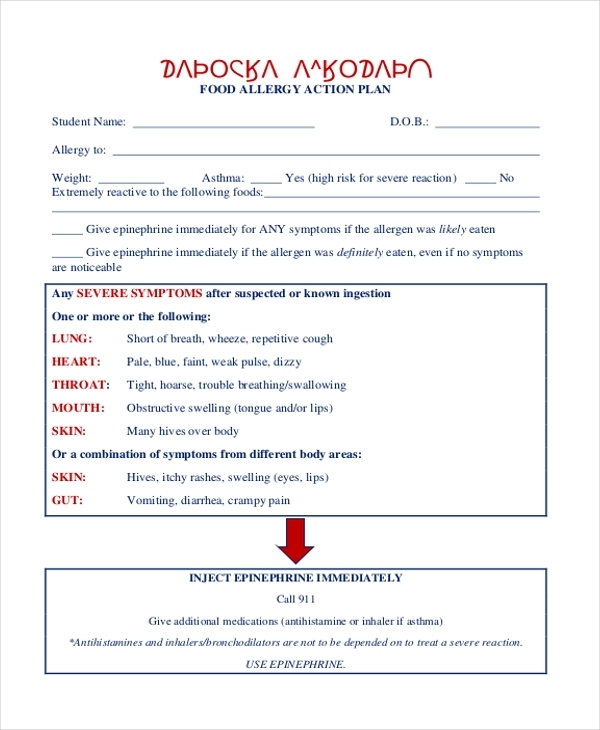 These Action Plan Forms – file format can be used by anyone with allergic reactions or suffering from chronic diseases like asthma. These may also use by parents having a problem child and by the organization for evaluating the potential risks involved with jobs. Students struggling with studies can also use the form for improvement. As a matter of fact, this extensive list of action plan templates cover different situation and are useful as a guide for those who do not have the experience to structure a plan. You may also see Sample Personnel Action Forms. 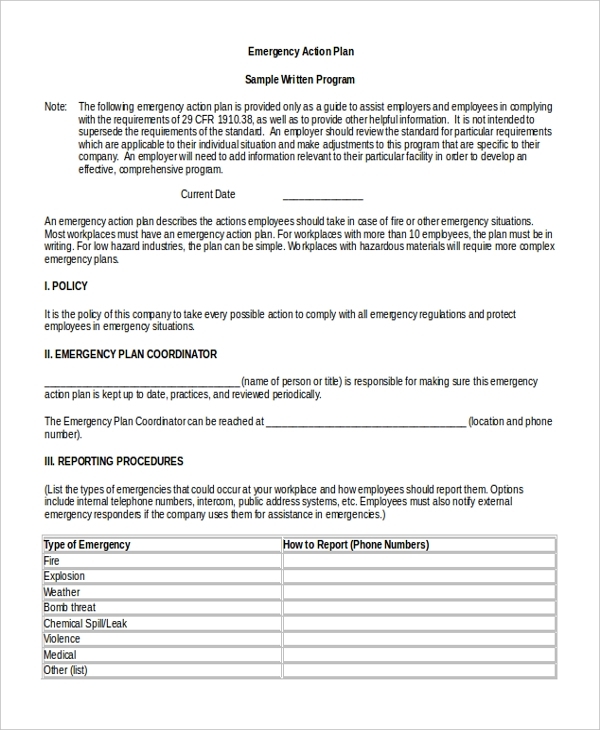 How to Use These Action Plan Forms? The Action Plan Forms – file format should be used in a systematic manner. Action plan templates are loaded with much information. But, different action plan templates to maintain the different order of information. This is done based on the priority. One should religiously follow the order of the template for extracting the best result. These templates have a clear objective and offer unique guidance in a strategic way. In case you want to create a template you should follow the logical sequence given for getting a meaningful action plan. You can also see Sample Corrective Action Forms. Structuring an action plan needs an understanding of the situation and is also time-consuming because you have to consider many factors. 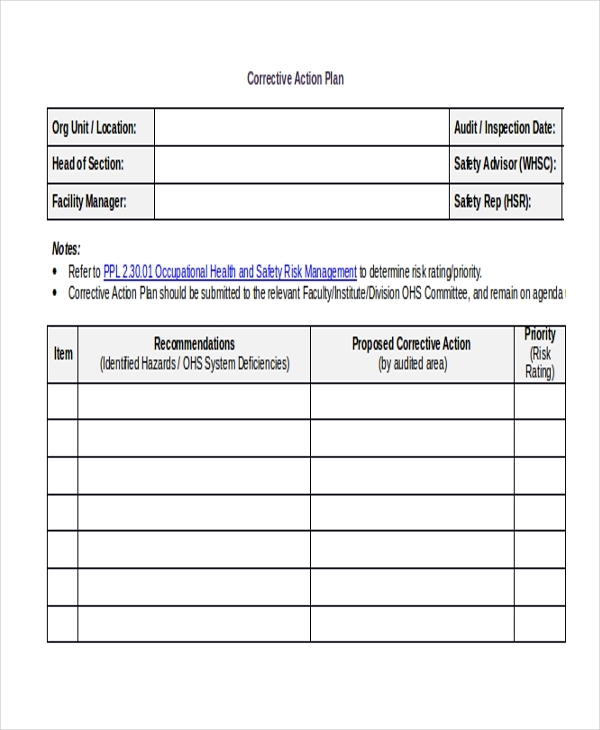 This website contains downloadable Action Plan Forms – file format. You can select the template you require from this list and straightway use those and save your valuable resource and time.